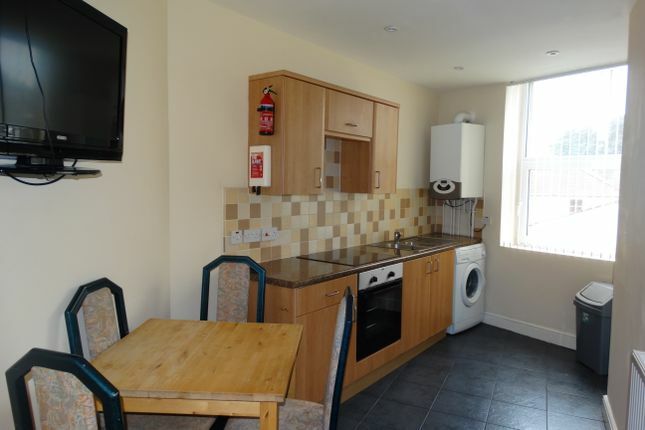 We have pleasure in offering you this lovely Four Bedroom Student Accommodation which is separated over three floors and comprises One Bedroom with En-suite facilities to the ground floor, on the first floor there is an open plan Lounge/Kitchen with wall mounted TV. Also on this floor is a Bedroom and main Bathroom. Resting on the top floor is the remaining Two bedrooms. All Bedrooms are doubles, and the house is fully furnished. Door leading to rear paved garden with rotary line and seating area. The property is located within the heart of Sketty and is set close to local amenities as well as being a short distance from the Uni. Available for 2018-2019 Academic year. Awaiting EPC rating. An administration fee will apply of £75.00 per student. Property descriptions and related information displayed on this page, with the exclusion of Running Costs data, are marketing materials provided by Threshold Sales and Lettings, and do not constitute property particulars. Please contact Threshold Sales and Lettings for full details and further information. The Running Costs data displayed on this page are provided by PrimeLocation to give an indication of potential running costs based on various data sources. PrimeLocation does not warrant or accept any responsibility for the accuracy or completeness of the property descriptions, related information or Running Costs data provided here.